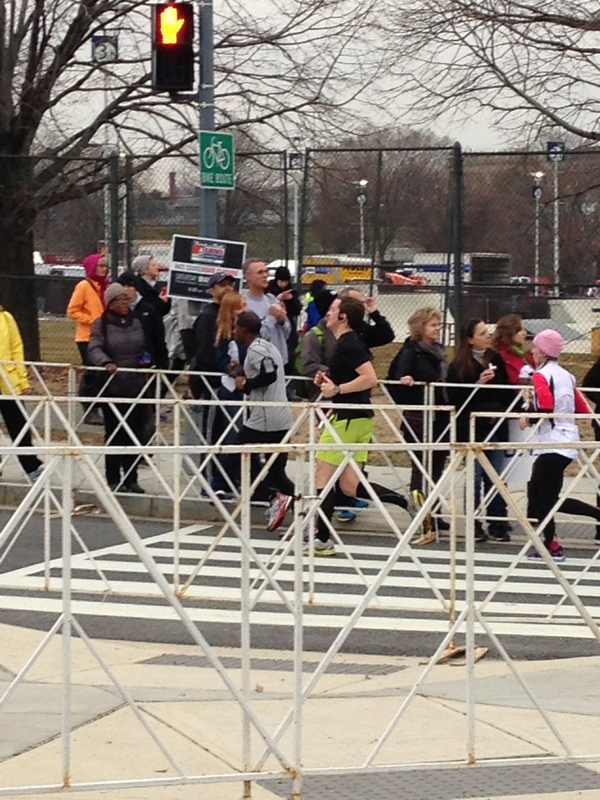 Saturday was my second race in our nation’s capitol. Last year I ran the full marathon. at Rock’n’Roll USA. This year, I ran the half marathon. Before this weekend, I had only one outdoor run this year…not my best decision, but I couldn’t bring myself to run outside in the frigid cold this year. I did all of my training indoors at the gym. Tons of treadmill running, cycling, and swimming along with weight training. Washington DC is a beautiful city. The race course was slightly changed from last year’s race. The start line was different this year. 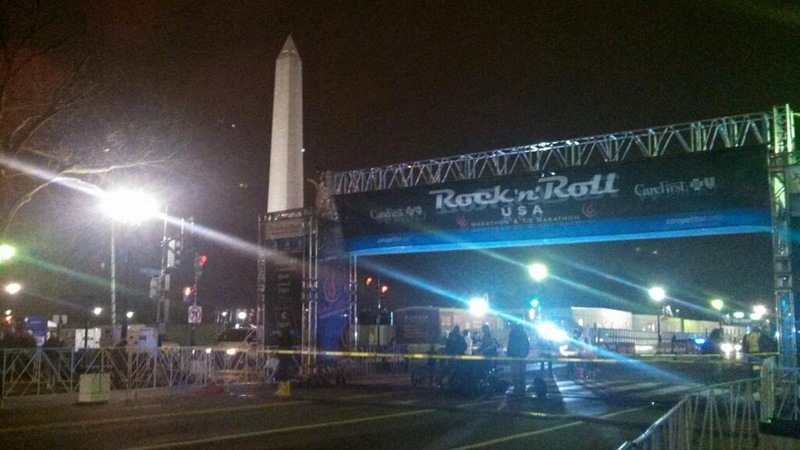 Instead of starting and finishing at the DC Armory, the start line was moved to the area of the Smithsonian museums on Constitution Ave. The DC metro is great and brought us very close to the start line, and there was a stop at the Armory where the race finished. As we arrived at the start line, I noticed that they had placed port-a-potties in the start corrals…immediately i thought that this was either the best idea of by far the worst. It turned out to be the latter as when the corrals were trying to move to the start line, the lines of people waiting to use the bathroom inhibited that greatly. People who had not been waiting for bathrooms also took this opportunity to jump others in line who had been waiting awhile to use the bathroom. Terrible idea, it could have worked if they had forced the lines parallel to the corrals. I was scheduled to start with the 7th corral, but i somehow wound up in the sixth corral due to the confusion with the bathroom lines. I did not let this bother me, and when the gun went off for corral 6, I began my 13.1 mile journey toward the Armory. This was a tougher course than I remember the first half of last year’s marathon being. The first 5 miles were not too bad. I cruised for about the first 5 and a half miles. Then some monster hills came. There were about 2 straight miles where the hills just kept coming. I powered through them and just kept going. After roughly the 8 mile marker, the course synced with last year’s course to the finish line. 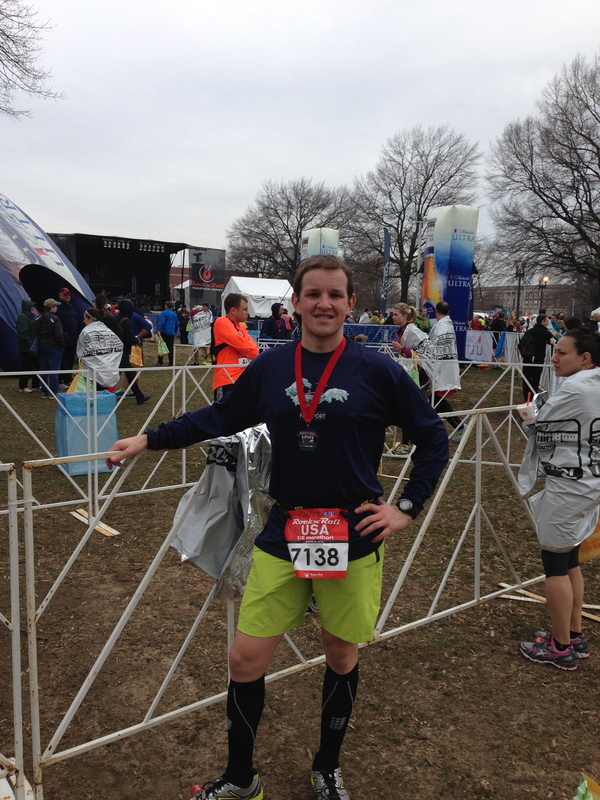 My hope for this race was to leave DC with a new half marathon PR. My previous best was 1:54:16. I was concerned that the amount of hills I knew I would be facing and with the fact that I only got one outdoor run in before race day would keep my from reaching that goal. After mile 9, I saw that if I could hold up the pace it would be close, but i could hit a new PR. As I came into the finish chute, I looked at my watch and saw that I was at 1:51 and change and was elated. I knew I would be leaving DC with a new PR. My official time was 1:51:22 a new PR by 2:54. So excited! After the race, I found Amy, posed for a picture and we headed back to the metro to head back to the hotel so we could get breakfast and take a well deserved nap! After a little snooze, we went to meet my favorite president, Mr. Abraham Lincoln! My next race will be the half rev in Quassy on June 2…and then after that Ironman Louisville!